He’s an actor, singer, television personality and an anchor. He is admired by fans and people from the industry. Ayushmann Khurrana, who has completed more than half a decade in the industry, has never let ego take the best of him. The actor who is an outsider in the industry has not forgotten his roots and believes every learning is an experience for the future. In an interview to thestatesman.com, Ayushmann shares his equation with co-star, Bhumi Pednekar, and reveals that he wanted to be an actor who could sing and not a singer who could act! The actor, who completes five years in the film industry, says he’s changed as a person both professionally and personally. “My journey over these five years have seen both ups and downs. I’m glad that in these years I have been a part of two national awards winning films (Vicky Donor and Dum Laga Ke Haisha). I have learned how to detach from a project/film in these years. Earlier I used to get emotional with a project, so much attachment that I was not able to get over the thought of the project coming to an end. I have learned a lot in these years,” Ayushmann says. “I have changed as a person a lot. Back in the day when Vicky Donor happened it was such a storm! I was not able to balance things! But now I have learned how to keep a balance between personal and professional life,” he adds. 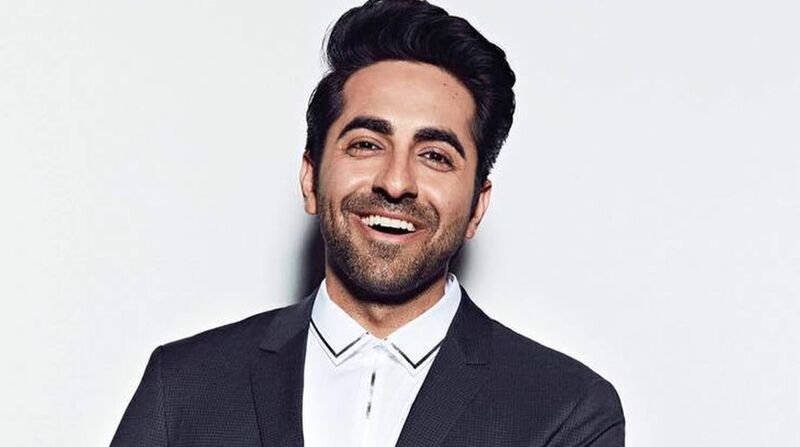 According to Ayushmann, the film is a hilarious take on performance anxiety in a middle class conservative family which can still make people aware of such issues! “Impotency is a broader term. The film deals mostly in performance anxiety which is a part of impotency. The motive is to make people aware of such issues in the society, it’s the need of the hour! It’s a story about how a middle class family in a conservative society trying to deal with the issue! How two people, who love each other, will try to sort out this problem. Everything else will be revealed once you watch the film,” Ayushmann explains. The Vicky Donor actor thinks that his co-star (Bhumi Pednekar) is a great performer and it’s always fun to work with her. “This time it’s role reversal between the two of us. My character is all charmed and wooed by Bhumi’s in Shubh Mangal Saavdhan. But you know honestly it’s great to work with her, she’s a great buddy and an even better performer. When you have a great performer next to you the film goes to the next level. “In Dum Laga Ke Haisha, the love story started in the end of the movie whereas in ‘Shubh… ‘ the love story begins from the first minute. This time the feelings are mutual from the very beginning of their love story.” Ayushmann adds. Ayushmann believes one needs to carve a way for the ultimate goal in life. “I always wanted to be an actor. I started with theater, television, radio and eventually films. I was carving my own path to make it big in Bollywood. Singing and anchoring are a part of me but my focus has always been acting. Singing is a parallel entity for me, but acting is for sure. I’ve always wanted to be an actor who could sing, not a singer who could act! But at the same time I would love to share that I love doing concerts and music events.” Ayushmann says. Mudit aka Ayushmann, who will be next seen in Shoot The Piano Player, will resume shooting for the film in October. “I have already completed 35-40 per cent of the film with Sri Ram Raghavan and we’ll shoot the next schedule in October. I’m playing a piano player in the film, this is the first time I’m playing a musician. Akshay Verma, who is a trained pianist from LA is training me, which is a great thing!” the actor says. The film Shubh Mangal Saavdhan will release worldwide on September 1.